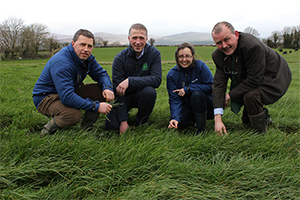 Maximising grass growth on beef farms. What the science of breeding can do to increase the chances of genetic gain in the Beef herd . Beef producers –connecting with the final consumer. 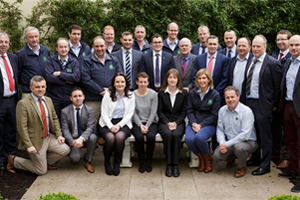 This year’s IGA sheep conference took place in the Horse and Jockey hotel in Co Tipperary. 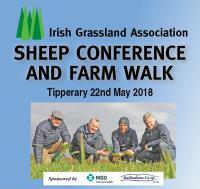 The format was similar to previous years with an indoor conference in the morning followed by a farm walk in the afternoon. 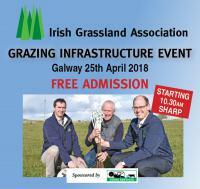 As part of the Department of Agriculture, Food and the Marine Year of Sustainable Grassland initiative, the Irish Grassland Association are organising a free admission Reseeding Demonstration event for members on Wednesday 17th May. 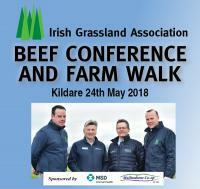 The aim of this event will be to promote the benefits of reseeding and best practice procedures that farmers can follow to achieve better yields from their grassland. The Irish Seed Trade Association are kindly sponsoring the event and it will be held on the farm of Donald and Lucy Bateman, Ballylooby, Cahir, Co Tipperary.